And they keep the slugs away, they hate walking, or rather slithering, over the mats hairy surface. They will last at least a couple of seasons. Just leave them there until they go back to the soil. It will do no harm, and perhaps a little good. 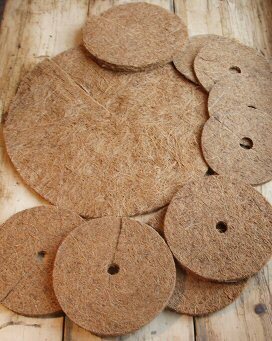 Made from organic coir and natural latex, they can easily be cut to shape with a sharp knife if you have some awkward little places.